Larco Engineering supply and install loading bay dock lights which are essential for busy vehicle loading bays to illuminate the loading areas. Why do you need good dock lights? Vehicle loading bays are always a busy environment to work in. 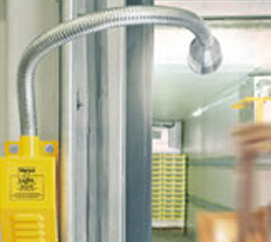 Good lighting will help provide a safe working environment as well assist in raising productivity and handling. Loading bay dock lights are especially essential for busy vehicle loading bays operating 24 hours. Our dock lights can also be beneficial on dark winter days to illuminate the loading area whilst the trailer is being loaded and unloaded. Larco Engineering can offer a full range of loading bay dock lighting systems which can be manually positioned or moved on swing arms and controlled either by operator switches or automatically from the control panel. 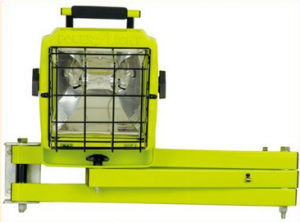 Our loading bay dock lights are available in a number of options including low voltage and mains powered. Larco Engineering are specialists in loading bay maintenance and Our dock lights are part of our extensive range of loading bay safety equipment, which also includes dock levellers, dock seals, dock port, loading bay traffic lights, vehicle restraint systems and loading bay protections devices.